We had such a fabulous time in Kauai, thank you so much for your sweet comments on our Ziplining, and Hike posts! It really is a beautiful place. 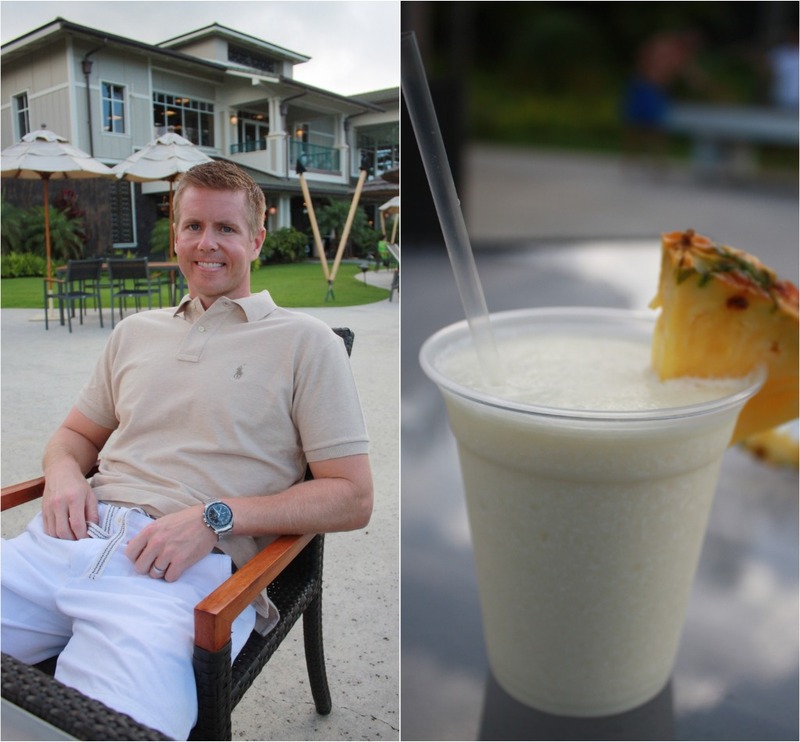 After Kauai, we went to Maui and some friends of ours met up with us. I will share those pics soon! 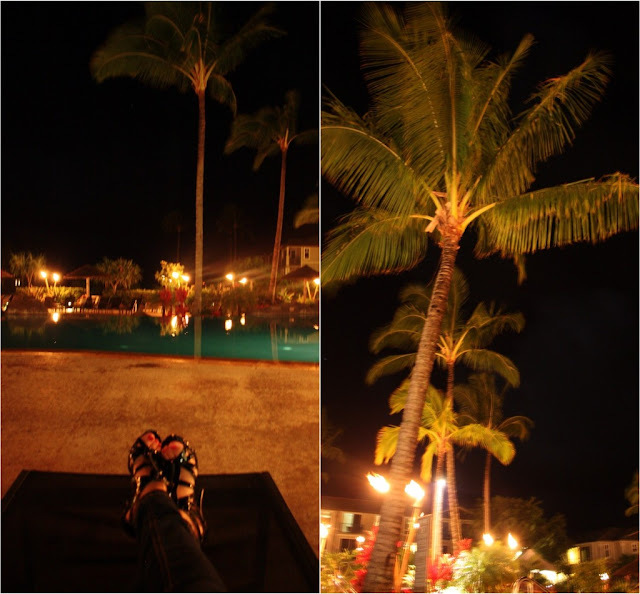 We stayed at the Westin Princeville - and it's a gorgeous place! It's not as touristy as Oahu & Maui, but they are all beautiful. We spent most of our time on Kauai relaxing, snorkeling, swimming, and admiring. :) We also got in some stand up paddle boarding in Hanalei Bay, and lots of walks & runs! New follower!!! I love your blog! Looks like you had a great trip!!! You two make an absolutely adorable couple! The photos look amazing! I love that you can see the cork flying in that photo! Glad you had a wonderful time! i'll be hiding in your suitcase next time! You make me want to to to Kauai so badly! I would LOVE that! I loved Maui... so very much.... but I would also love to a little less development, too. Seems so relaxing! You guys are so adorable! I'm so bummed ya'll were gone when we were in San Fran, but it was a hot mess on our part for planning anyway. I'm sending Eric a link to your hotel from Kauai.. hah.. Like "uh.. hint hint." haha! great pics! Kauai looks amazing and I think it needs to be the destination next time we visit Hawaii! Sigh...! Absolutely gorgeous! 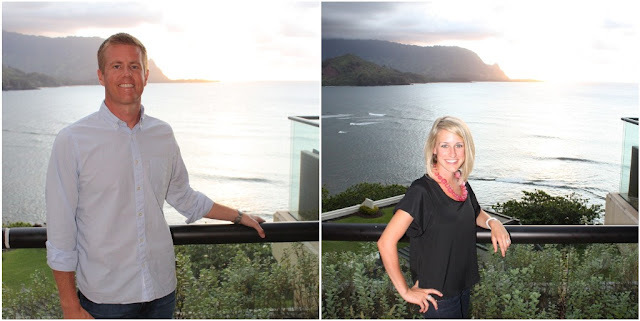 We got married in Maui and have been wanting to go back to HI ever since. Glad you had an amazing time!!! Absolutely gorgeous! You and the hubs are such a perfect looking couple! This makes me want to go to Hawaii....like now! Happy Monday! That water looks so gorgeous and inviting! I sure hope my husband and I can visit there someday! Every day we were in Hawaii, we would watch the sunset. So precious. I LOVE it. Beautiful pictures! Omgosh, I LOVE the Westin (though I can imagine the Westin in Hawaii > every one I've ever stayed at :) You are absolutely beautiful, Tracy, and you and Tim are such a gorgeous couple! I wish I had something more poetic to write, but I am just beyond happy for the two of you to have this time together to celebrate your anniversary in such a beautiful place! You are living the dream lady, it looks soooooo beautiful! Everything looks so beautiful there! I have GOT to get to Hawaii! Ah I'm so jealous! Dying to go to Hawaii but it's right on the other side of the world for me! Your pics look stunning!! What a magical sunset! Love it!